Vero Beach Inns and Hotels near the beach on your radar? The Sea Spray Inn Vero Beach is an Old Florida Style Inn that will bring back memories of a simpler time amidst Vero Beachs cool ocean breezes in a tropical setting on the Treasure Coast. Plan your next Florida beach vacation or romantic getaway near the beach at the Sea Spray Inn in Vero Beach Florida with Old Florida tropical island charm. 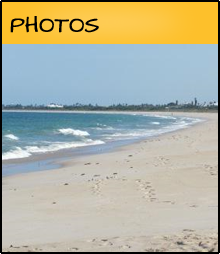 Please have a good look around our website so you get a feel for things to do in Vero Beach and our Inn. This Vero Beach Hotel is American Owned and Operated. 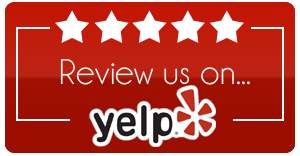 We take pride in our Vero Beach Inn and are here from 10 AM to 6 PM. This Inn is not a corporate owned or manager run hotel property. 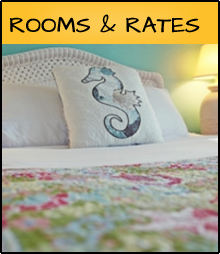 The Sea Spray Inn Vero Beach offers an unmatched variety of accommodations near the beach. Our Inn provides beach side comfort at affordable rates. Our goal here at the Vero Beach Inn is to give you and your family the most pleasant beachside vacation experience available in Vero Beach. Our Inn in Vero Beach has seventeen (17) unique, newly updated studio and one bedroom suites. See our Inns fully equipped kitchens. The Sea Spray Inn in Vero Beach is located just steps from one of the best beaches in Florida, right here on the Treasure Coast. 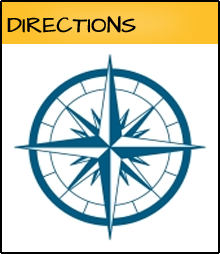 Our Inn is located in a quiet Vero Beach neighborhood, yet quaint shops , fine and casual dining are just a short walk, bike ride or drive away. In fact, there are three quality Vero Beach Restaurants and a great Pizzeria right around the corner, just in case you don't want to do your own cooking. Our Inn features kitchens that provide you and your family a more economically sound option than many Vero Beach Hotels that may only provide a coffee maker and a microwave in your room. Relax, driftaway and enjoy the Inns large roof deck with your morning coffee. While sunbathing in the afternoon or stargazing in Vero Beach with a glass of wine in the evening the view from the pool and the smell of the ocean is unbeatable. All of our Vero Beach Inns rooms overlook our tropical courtyard, heated pool or garden. Our Inn in Vero Beach offers a unique charm. The Inn stems from the fact that it is like a tropical retreat with Vero Hometown Hospitality. This is what keeps our guests coming back again and again even when they have stayed at other Vero Beach hotels. Why settle for an expensive hotel stay when you can get the same hospitality at an affordable inn. Located in Vero Beach, The Sea Spray Inn takes care of its guests. With super retro, old Florida feel, the place is charming, affordable and located just a block away from the magnificent Beach. 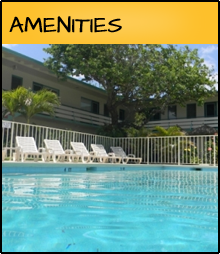 With friendly owners, nice rooms, attentive staff, delicious breakfast, quiet pool and great hospitality, it’s a perfect place to experience an old Floridian style stay on a reasonable budget. Past customers vouch for the "above-and-beyond" customer service that they received at the motel. It’s one of the most affordable places in Vero Beach that can elevate your stay from a simple night stopover to a memorable travel experience. Today, the shift from “staying at a luxury to experiencing a luxury” can be best experienced at a good local Inn. Folks out there know that an extra day on Vero Beach can be best spent at The Sea Spray Inn.